The demographic component of the country is the leading problem for the national security of Russia, and one of the reasons analysts called the decline in the birth rate. Common reason for this is not favorable for the social protection of young mothers, lack their own housing, and low wages of parents. To support young families, the state has developed special financial programs. 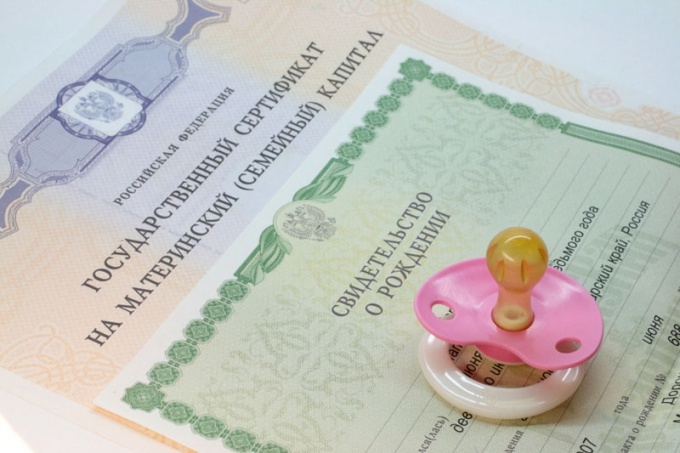 One of the forms of support for families with children in the Russian Federation is the state family program of the parent capital, enshrined in law. It is a social state aid intended for Russian citizens after the adoption or birth of two and more children, which came into effect on 01.01.07 g. and extended to 31.12.16 G.
The maternity capital is intended not for a particular child, and is available for the whole family, which is why it is called a family. If the family has already received assistance under this program, payment is no longer rely. The size of the parent capital is fixed, its expression does not depend on the number of children, and it changes only due to indexation every year. For example, if in 2007, payments amounted to 250,000 rubles, the parent capital in 2015, starting from January 1, will be increased to 453026 rubles. a man with Russian citizenship, who alone adopted a child after 01.01.07. - minor children under 23 years of age, undergoing full-time training in higher and secondary institutions. A document confirming the right to assistance, is a state certificate, which gives the Pension Fund. - a document certifying the Russian citizenship of children if the applicant is not a citizen of Russia. To the Department are provided for verification of the originals and give them copies. If the mother's capital, the documents are in order, then after a month one of the parents can obtain a certificate. If you can't take it personally, you can make a request to receive it by mail. Feature of aid is that it is impossible to cash, it is forbidden to spend the maternity capital on the car, but you can send it to other purposes. Primarily, this improvement in living conditions, the purchase or construction of new housing provided it is spent within the state. In the list of possible investments include: purchase of new housing; construction of a dwelling on their own, it is also allowed to attract contractors; payment of first installment of loan or mortgage for the purchase of housing and payment of debt and interest thereon; payment of fee when joining the housing co-op. However, you should know that, upon payment of the parent capital part of the loan that was issued for the purchase of housing, the borrower prepares a notarial deed, obliging him to draw the part of the tenant children. The maternity capital is used to pay for children's education in any educational institution on the territory of the state, and on the device and the maintenance of children in kindergarten. To education every child, regardless of whether at the birth of whom they were allocated, however, the age of the pupil or student should not be more than 25 years. The law allows use of capital to increase labor pension decorator assistance in state and non-state pension Fund. Use of family capital in full or in part is possible only after 3 years after adoption or birth of a child, except in situations where the money will be used for payment of the mortgage loans or the interest accrued thereon. Funds capital not allowed to cash in any manifestation, whether it is a fake buying a fake certificate from the hospital or contract with contractors, which was not carried out construction work or repair. All these illegal acts punishable with the severest criminal punishment.